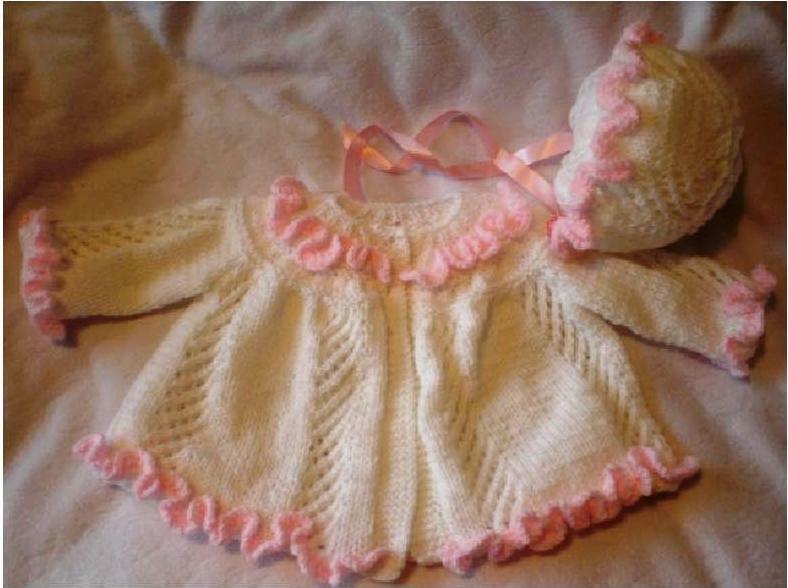 A BEAUTIFUL RUFFLES AND LACE DK KNITTING PATTERN, THE PATTERN IS FOR MATCHING COAT AND BONNET ALL EDGED WITH A CONTASTING RUFFLE EDGING, THE PATTERN FITS SIZE 16/18 CHEST OR 0/3MONTHS OR A 18/20 INCH DOLL, THIS IS A STUNNING LITTLE SET THE PATTERN IS MY OWN DESIGN AND CAN'T BE FOUND IN SHOPS, I HAVE MADE IT SO THE PATTERN IS VERY EASY TO FOLLOW, please don't copy my pattern but feel free to knit and sell the finished. 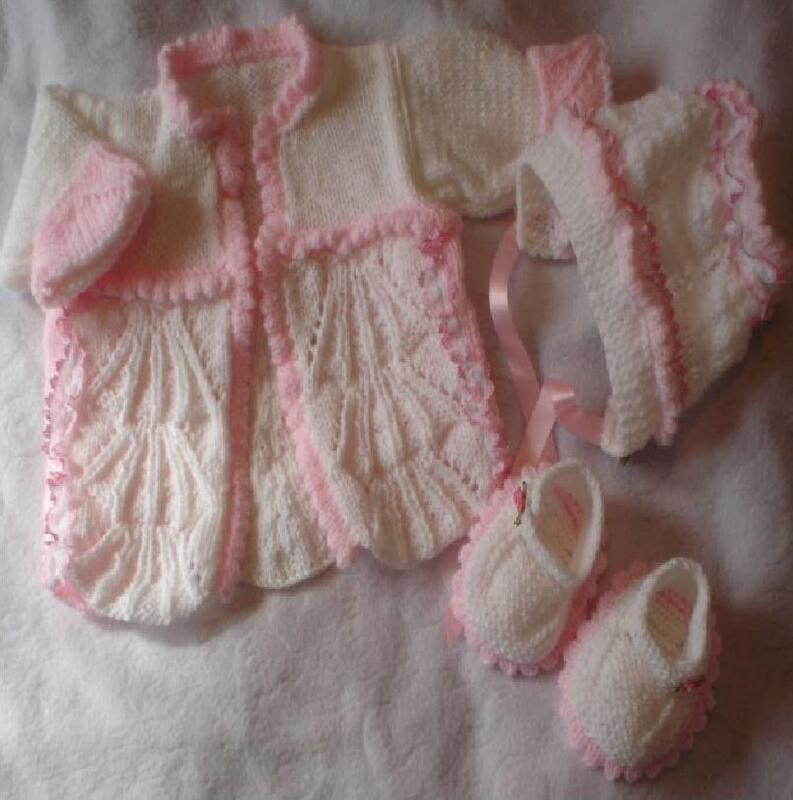 A STUNNING SHELL AND BOWS MATINEEE SET KNITTING PATTERN THE PATTERN IS FOR COAT, SHOES AND BONNET, THE PATTERN FITS SIZE 16/18 CHEST OR 0/3MONTHS OR A 18/20 INCH DOLL! THE PATTERN IS MY OWN DESIGN AND CAN'T BE FOUND IN SHOPS, I HAVE MADE IT SO THE PATTERN IS VERY EASY TO FOLLOW please don't copy my pattern but feel free to knit and sell the finished item . 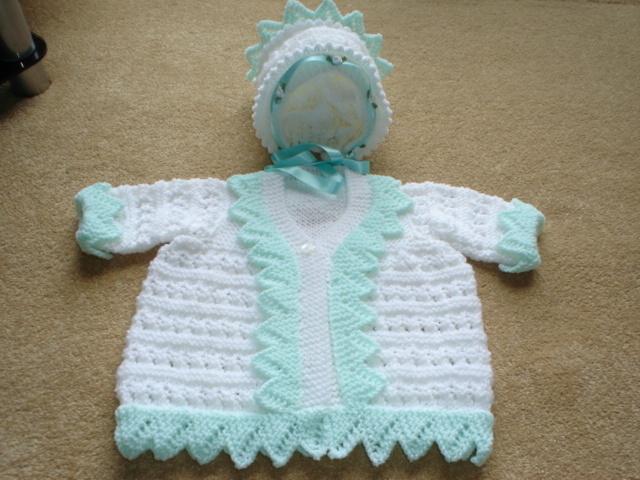 DIAMOND & BOWS MATINEE COAT, PANTS AND BONNET DK KNITTING PATTERN, SET IS BEAUTIFUL AND THE PICTURE DOESNT GIVE IT JUSTICE THIS SET IS MY OWN DESIGN AND IS VERY EASY TO FOLLOW. 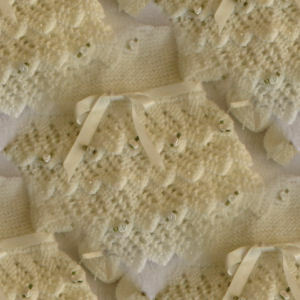 THE PATTERN FITS SIZE 16/18 CHEST OR 0/3MONTHS OR A 18/20 INCH DOLL! THIS please don't copy my pattern but feel free to knit and sell the finished items.